A couple of people have written to me saying that they’d like to do an original inhabited blackwork piece, but don’t want to do the traditional Elizabethan scrolling flowers, or yet another chessboard. They are hesitant to draft up their own main design, and are unsure where to start. They have asked for some leads on places where they can find drawings particularly suitable for or adaptable to use with counted fills. I present some suggestions. Mind you – none of these are endorsements or product placements, and are intended as a first step for gathering inspiration. 1. Coloring Books. They come in all flavors from very simple line drawings aimed at kiddies, to complex pieces targeted at over-stressed adults. 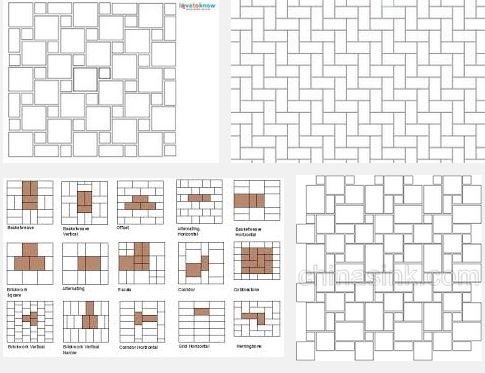 What you want are ones with large enough spaces for the patterns to play. A mix of large and small areas to fill is ideal because it will allow use of fills of various complexities and densities. Given the vast diversity of what’s available now, a coloring book project can be anything: a kid’s cartoon character, a historical vignette, a Alhambra-style geometric, a complex mandala, something relevant to your faith, a detailed bit of nature drawing, or a cheeky paisley. 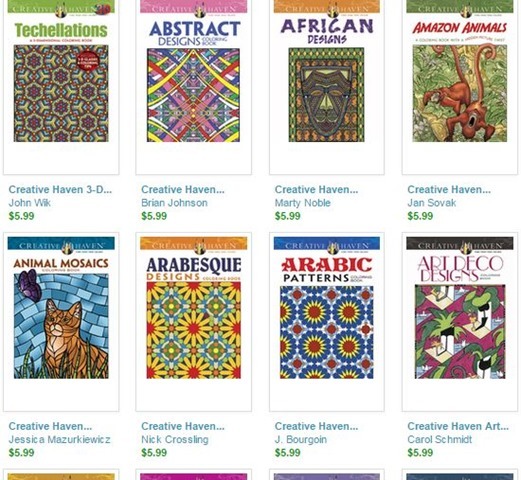 Dover has a particularly lush collection of coloring books, many of which contain designs that would appeal to an adult. 2. Stained Glass Patterns. 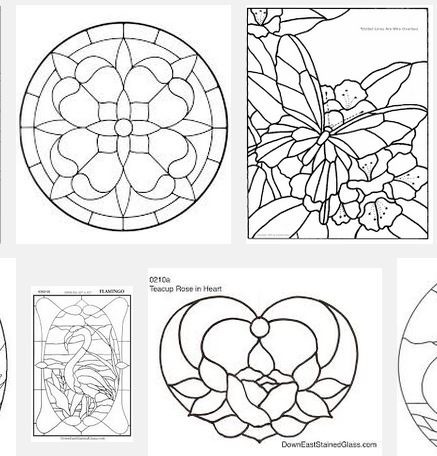 These are especially easy to use for blackwork because of the limits that handling tiny bits of glass impose. The drawings tend to have bold outlines and large, flat fill areas. 3. 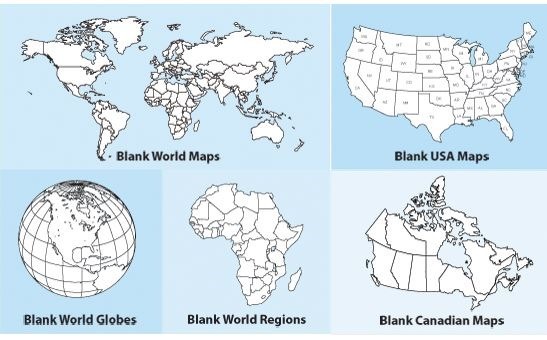 Maps. Proud of your country, home state, county or city? All of those nifty borders outline areas just waiting to be stitched. Collections of clip art for classrooms and teachers contain some of the simplest, most clearly defined examples. 4. Wallpaper Samples. The all-over designs of some wallpapers present excellent opportunities for the use of fills. There are hundreds of collections on-line that can be combed for inspiration. 5. Antique Ironwork. Grills, meshes, fences, and guards are like iron lace. With lots of “white space” between the bars, just waiting for embellishment. 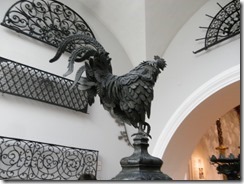 I took some photos of ironwork at the V&A that show what I’m thinking of. 6. Architectural Drawings and Plans. 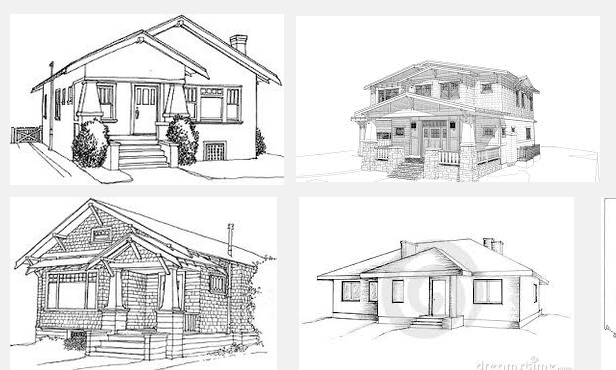 There are tons of illustrations of houses and other buildings (also lots of photos). For example, I’m drawn to pix of Craftsman era bungalows. 7. 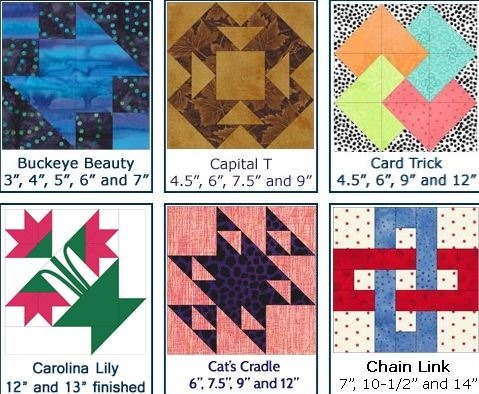 Patchwork Quilting Patterns. There are thousands, some appliqué, some pieced (both geometric and crazy-work), all perfect for this type of stitching. Again, there are thousands of these available on-line both paid and free. 8. 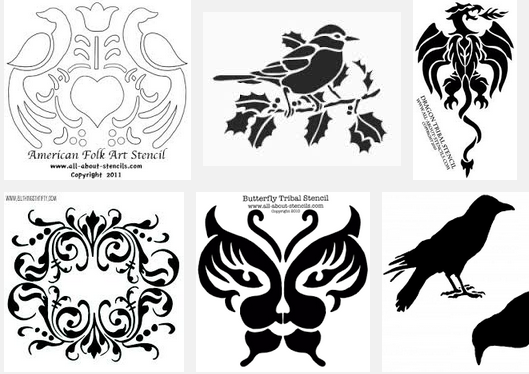 Stenciling Designs. These are produced in several scales. There are large ones intended for use in interior decoration, often as borders or furniture accents. There are also smaller ones intended for finer airbrush work, like the one I’m using for my Trifles sampler. In any case, a quick Google search turns up plenty. 9. Mosaic and Tile Patterns. Like stained glass, these often need little or no resizing because the tesserae (mosaic tiles) are just big enough to use as stitching blocks. Here’s a pile of regular layouts. 10. Lace Samples. Many designs intended for lace can be adapted as blackwork outlines. For example, the looping patterns intended for traditional Battenberg could be in-filled using counted geometrics, with the outlines themselves either being stitched, or applied over using soutache cord or a narrow tape or braid. Here’s what I mean. These are just a few ideas off the top of my head.